Mothers all over the world have one of the toughest jobs! They are often under appreciated and overworked. So let’s all appreciate our moms this Mother’s Day, Sunday May 11th. Spoil her with flowers, love, chocolate and gifts! Right now is the time to order her Mother’s Day Gifts so that they get to her in time! To help you, I’ve picked out a few Mother’s Day Gift Ideas that she’s sure to love! 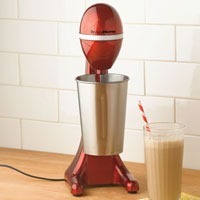 If you want a super fun gift for Mother’s Day look no further than this Milkshake Maker! For $34.99 you can give your mom the gift of daily creamy milkshakes, malts or if she is on the healthy side… health drinks! This blender is slim and is an adorable bright red color. Not only that, it’s retro look will bring her back in time. You can ship this right to her door or hand deliver it if the distance allows! She will love this special gift! This gift is not only thoughtful, but it is also practical. It will show your mother’s safety and security is a concern of yours! These solar step lights are a gift that says you care for her and don’t want her to trip on a step! Solar lights get charged by the sun so they are cost effective and require no electricity. You get the solar lighting 2-pack for $12.99. You might need a few depending on how many steps she has. Show how much you care with this gift! If your mom loves to garden this is a gorgeous planter that she can fill with flowers, vegetables, herbs or whatever plants she desires! If she doesn’t have a green thumb, you could give her this gift and make it extra special by filling it with flowers for her! It would be a bouquet and planter all in one! This Chippendale Planter would be lovely on a front porch, welcoming guests. It could also go on the back patio for her to enjoy during the warm summer months. 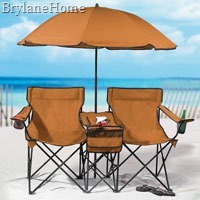 This double chair outdoor seating set is so cute for the beach or camping. It comes with 5 pieces (2 jumbo chairs, umbrella, 2-wheel tote bag, table/cooler) – everything you need for outdoor furniture. It is made of a poly canvas fabric and is perfect for the mother than could use a little getaway (even if it is just in her own backyard). She can relax with a book and a beverage thanks to the table and cooler combo! This gift is $79.99 and would be a gift that would be used frequently. Brylane Home has outdoor cushions galore! 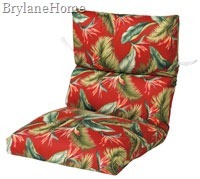 They have universal chair cushions, wicker chair cushions, chaise lounge cushions, and more! If your mother could use a re-vamping of her outdoor furniture, this is the best way to do it! Show her you care by getting her a set of new outdoor patio cushions or pillows. There are many fabrics and colors to choose from to fit her tastes. The poly canvas is UV/mildew/weather resistant. These patio chair cushions will give her outdoor space some color and vibrancy that she’ll be excited about! Prev:BrylaneHome Outdoor Furniture Set – Perfect For The Beach!